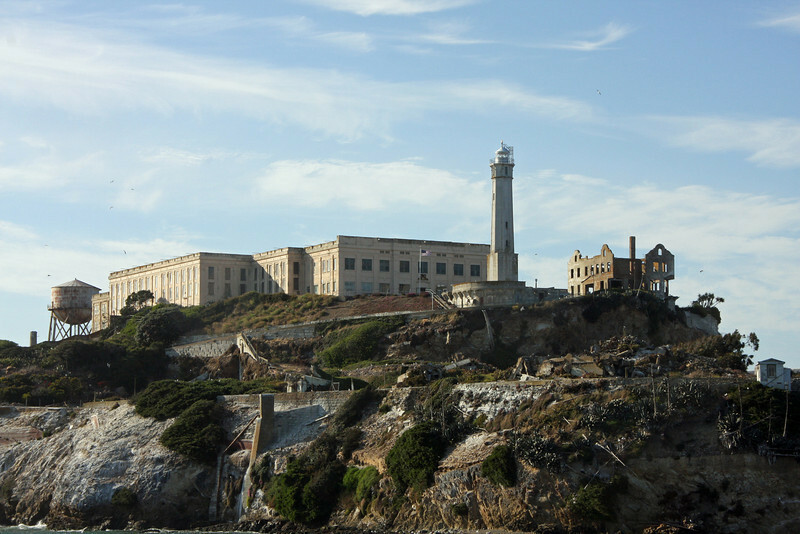 Alcatraz was the home of the West Coast’s first lighthouse. Equipped with a simple oil lamp, the Alcatraz light began guiding ships through the narrow entrance to the bay in 1854. In 1909, when construction of the cellhouse threatened to block the light beam to the north, the old lighthouse was replaced with the 84-foot tower seen on the island today. The tower’s automated rotating light, supplemented by powerful foghorns on either side of the island, continues to be a key navigational aid. Below the Lighthouse was the military Parade Ground. It was surrounded by houses which were later demolished.